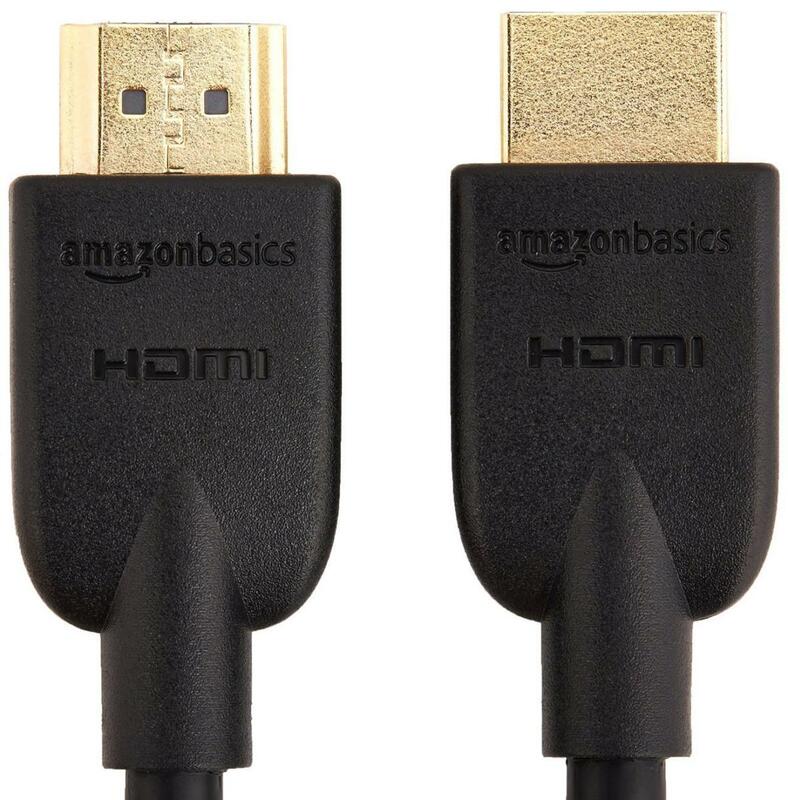 The AmazonBasics High-Speed HDMI Cable quickly connects a wide range of HDMI devices. Use it to connect a small mobile, home-entertainment, or gaming device to a big-screen HDTV, large projector, or computer monitor, for example. Delivering clear, vibrant video, the AmazonBasics High-Speed HDMI Cable with Ethernet meets the latest standards, which means it considerably expands bandwidth up to 18 Gbps, offers 4K@50/60 (2160p) video resolution (four times more clarity than 1080p/60), and supports the wide-angle theatrical 21:9 video aspect ratio. The cables average 4.5 out of 5 stars from over 12,000 reviewers on Amazon (read reviews). Right now you can get a 2-pack of these 6-foot cables for just $7.96. See this deal now on Amazon.